So we did it, we jumped on the Instant Pot bandwagon. We’ve been going back and forth about it for awhile and finally in the spur of the moment we bought one. I know how adventureous of us right? Ha, if that is the only adventurous thing that we do then we are pretty boring. But it was a impulse buy so to say. Well my friends, so far I love it! I don’t really know why I waited so long. I think it’s because we have a tiny little kitchen and ALL my storage space is taken up. I have a little kitchen but huge pantry and I use literally every single inch of it. So some rearranging needs to be done to accommodate this bad boy. But I think I can make that happen without much effort. So we love slow cooking, we own like 3 slow cookers and since this has the option to slow cook plus so much more we knew that we just had to give it a try. So my mission for the first week that we had this was to do recipes in it every day to test out it’s capabilities. So far everything that I have made has turned out, so thats a plus! So excuse me while I overload you with Instant Pot Recipes for like the next week or so, because thats pretty much all I’ve been doing. You’ll forgive me right? 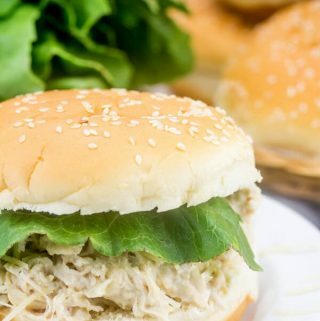 Besides most of these recipes can easily be converted over to the slow cooker since I actually have made some of these recipes in my slow cooker but decided to see how it turned out in the Instant Pot. 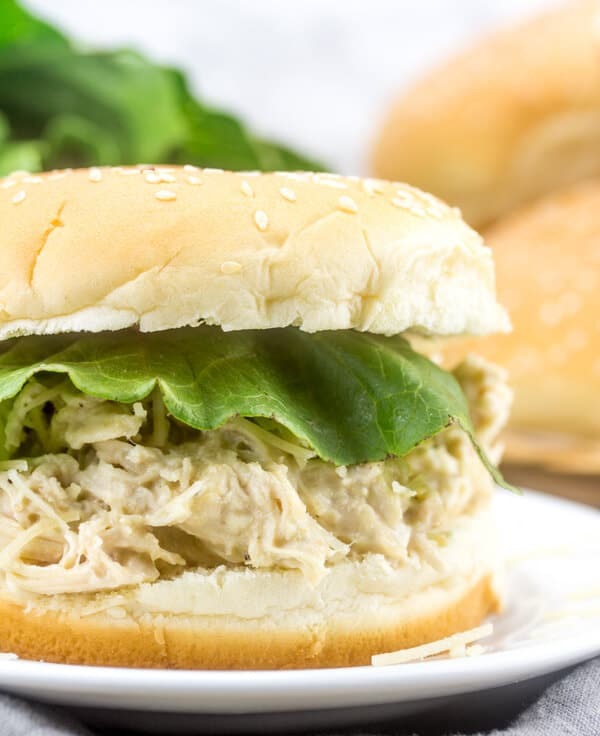 Anyways lets get to talking about these Instant Pot Chicken Caesar Sandwiches. 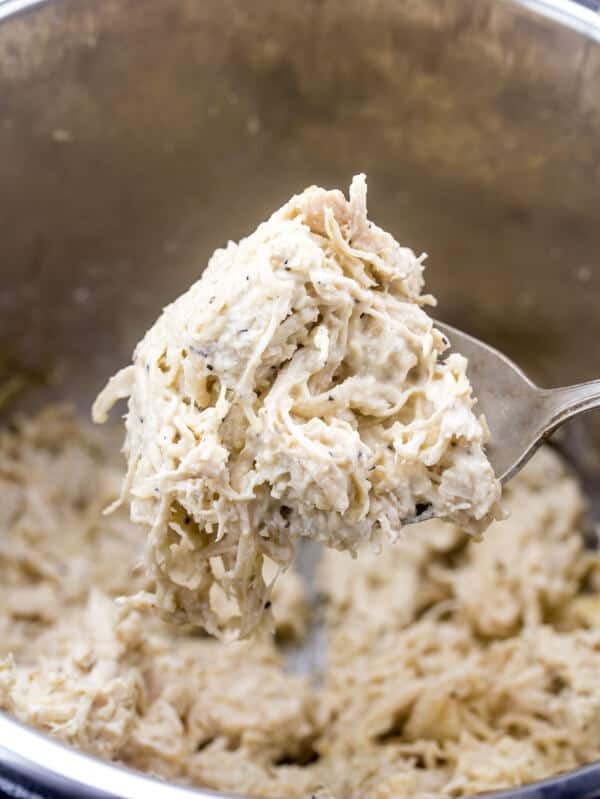 We adore chicken Caesar salad. Like it’s the only salad I will eat since I’m really picky about my greens. 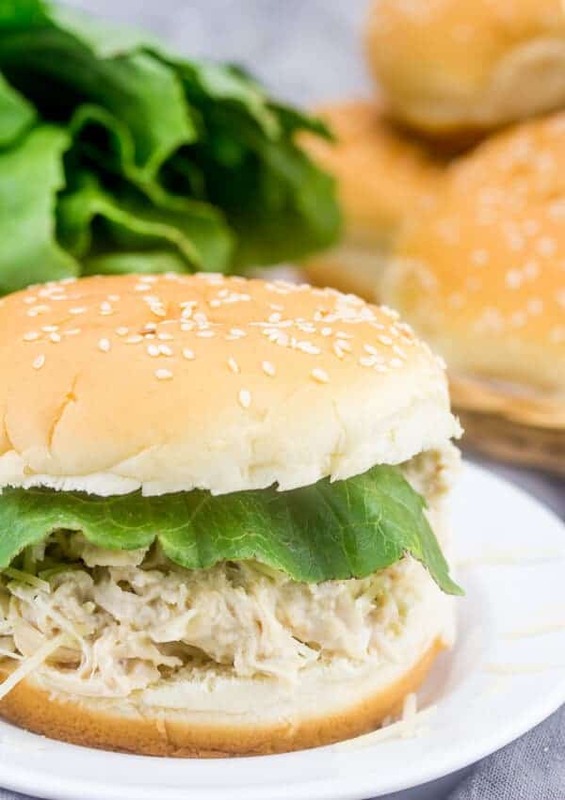 And we have been making these sandwiches for quick awhile, we usually make them in the slow cooker, but like I said I wanted to try it in the Instant Pot instead. So this really really really cuts down on the time! It’s like I can make all my favorite slow cooker meals in the fraction of the time it would normally take. I have a recipe coming up for red beans and rice that I used this for and it literally cut the cooking time from 6-7 hours to 1! I mean come on!! YASSS. Ok so these sandwiches are super duper easy. Add some chicken and water into your basin and manually start it for 15 minutes, quick release the pressure and open. Perfectly cooked chicken. You take the basin out and drain the water and shred your chicken. I mean how simple is that. Then add in some salt, pepper, Caesar salad dressing and parmesan and use the sauté function to mix it all together and heat it up real quick. You can serve immediately or just use the keep warm button until you’re ready to plate. We had my in-laws over for dinner and this was what I decided to make them and literally we had nothing left! So it’s a complete win of a recipe. Add in to some buns with some more parmesan, a slice of romaine lettuce and you’re all set. AND the kids love them! So I’m going to say that this recipe has and always will be a keeper! 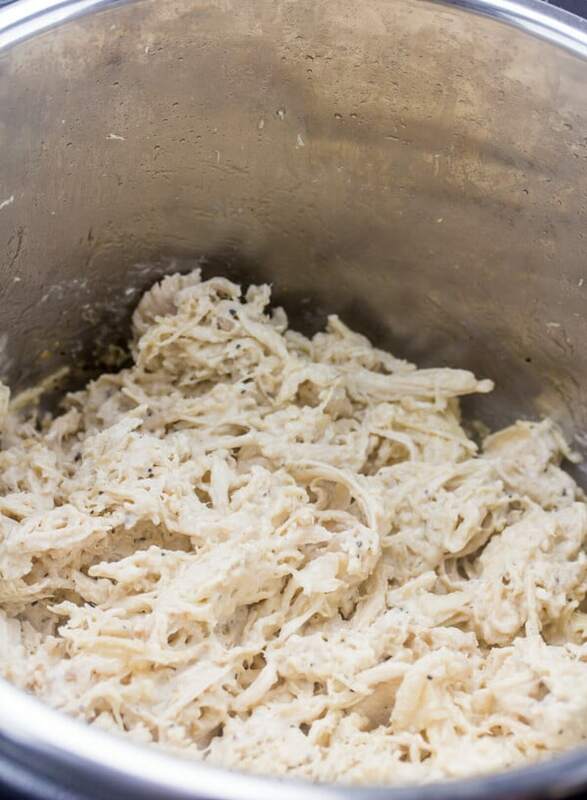 In Instant Pot place your chicken in bottom of basin and then pour your water over the top, seal and press manual and heat for 15 minutes. Once done, release the pressure valve for quick pressure release. Remove top and basin and drain you water and shred your chicken. Add your basin back to instant pot and press the saute setting. Mix in your salt, pepper, dressing and parmesan and stir around until combined and heated through. If serving right away place on buns and sprinkle some more parmesan (if desired) and top with romaine lettuce. If reserving for later press the keep warm function and replace lid.